This evening, the Green Girl went for a run on The Strand. 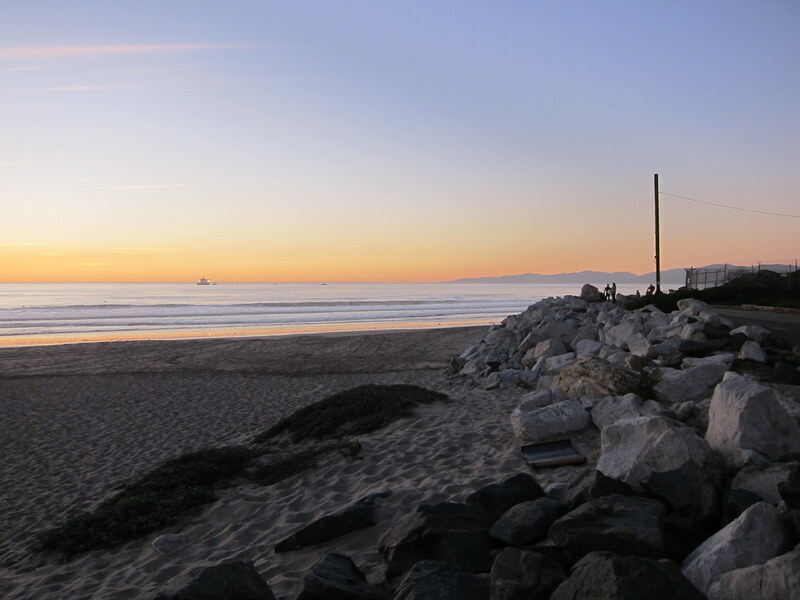 I arrived at the metered beach parking lot just as the sun was beginning to set. As I started out on my run, my body felt good. I was pleased that my calves were somewhat loose for a change. I made an effort to focus on relaxing my body - especially my shoulders. Lately, I've been noticing how much harder it is for me push my body when it's overly tense. 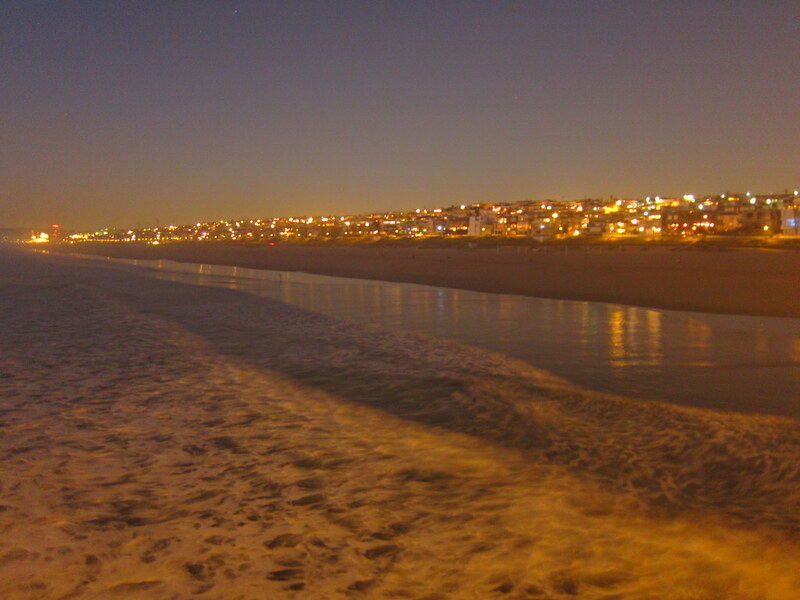 I headed south towards the Manhattan Beach Pier. At the end of the concrete pair is a circular building housing the Roundhouse Marine Studies Lab and Aquarium. The aquarium is open to the public and admission is free. 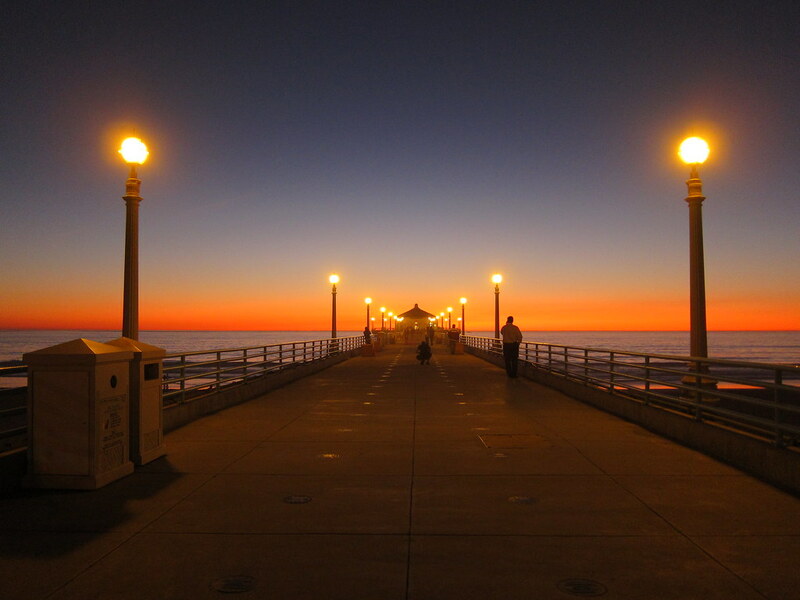 I ran behind the building to the edge of the pier to catch the last glimpses of the blazing sunset over the dark ocean waves. On my way back, I discovered my muscles had relaxed and I was able to pick up the pace. By this time, sections of The Strand were enveloped in complete darkness and my eyes cautiously scanned the pavement for uneven footing. I relished every second of my run tonight. I've only run that section once during a race between Hermosa and Manhattan Beach but I remember it being great. Btw, what camera do you use? One Crazy Penguin, I use a Canon S90. Stunning photos! I can see why it was such a great run. I do a lot of work to strengthen my shoulders for the longer runs. It really helps a lot. Have a good weekend! Relaxed run in a beautiful setting, what's not to relish? Wow! So beautiful! I'm glad you had a great run. 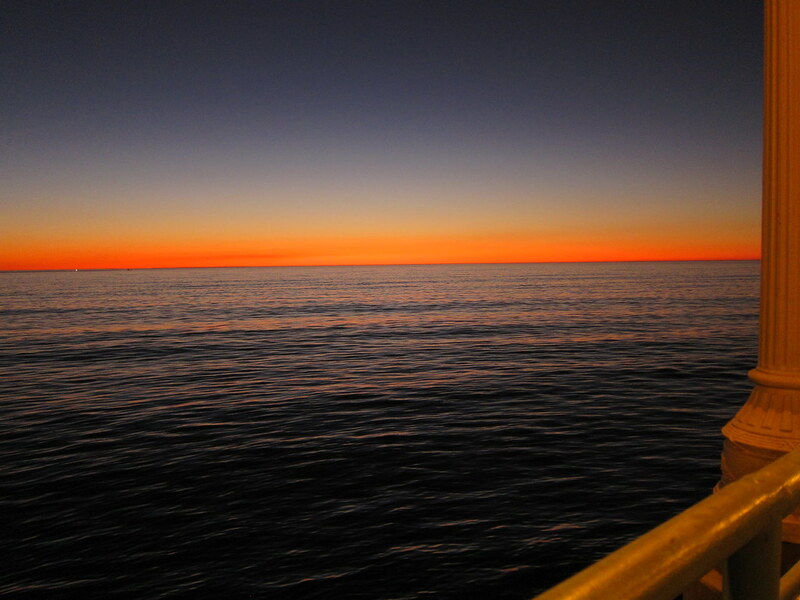 Those sunset pictures are just amazing. I think I'd plop down on the beach and never get up...well, until the sun fully set :). relaxed run in the dark last night would have been good. I 1/2 way had it down. Lovely! You have run in some great places with terrific views. Sounds like a fab run too. Gorgeous! I love the reflections of light on the water. Happy running! Love it. I just love the places you get to run. Sounds so peaceful! We have had THE best sunsets recently have we not? Beautiful shots! You are a great photographer Green Girl. I love your pics. Thanks for the reminder to relax the shoulders! Yes, yes, yes. For upper body and shoulders I have a routine I do with weights 3 times per week after my shorter runs.